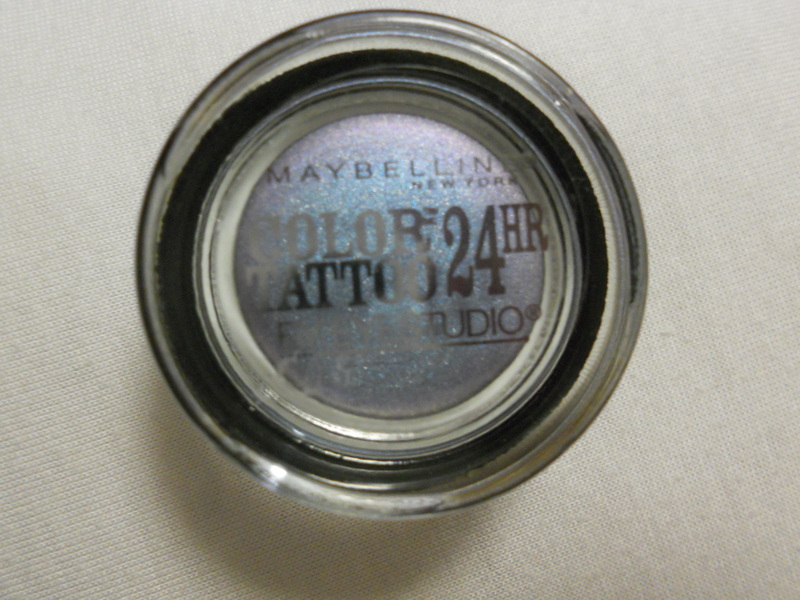 Just like a hundred other girls, I’ve been on the hunt for the limited edition Maybelline Color Tattoos for summer 2013. I even enlisted my mom across the country to help me search. 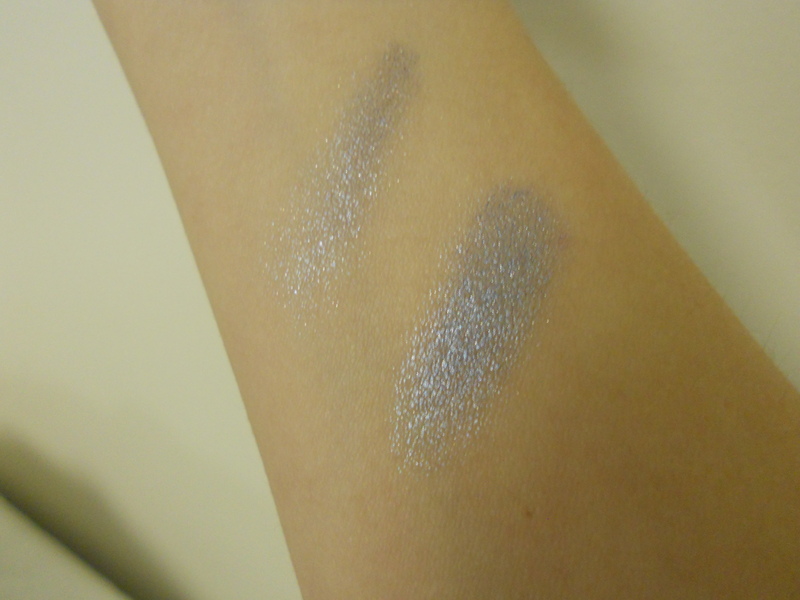 Finally, I found the two-shade display with Blue Paradise and Precious Pearl at Ulta. I didn’t feel too strongly about Precious Pearl, but I snagged Blue Paradise (15). I really just wanted Seashore Frosts, but I couldn’t resist this one. 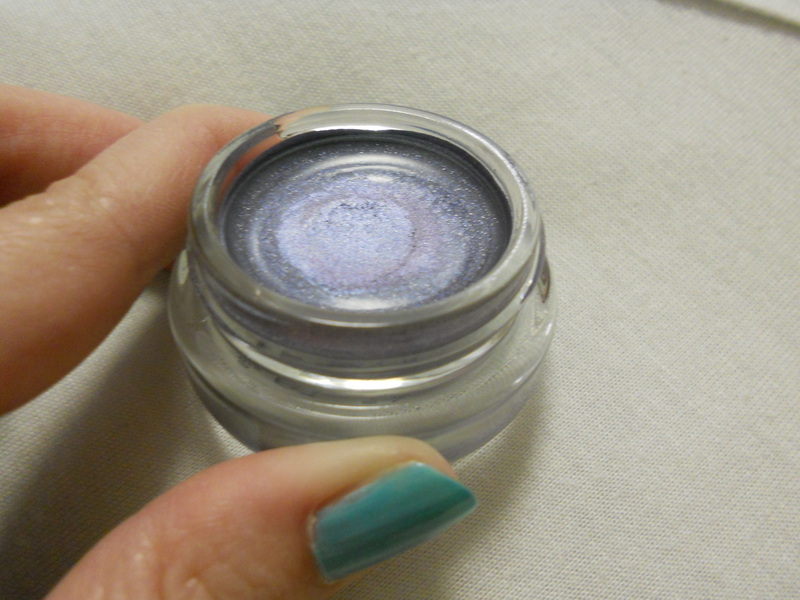 It’s one of the duochrome shades: a beautiful Pacific blue with a hint of purple shimmer. 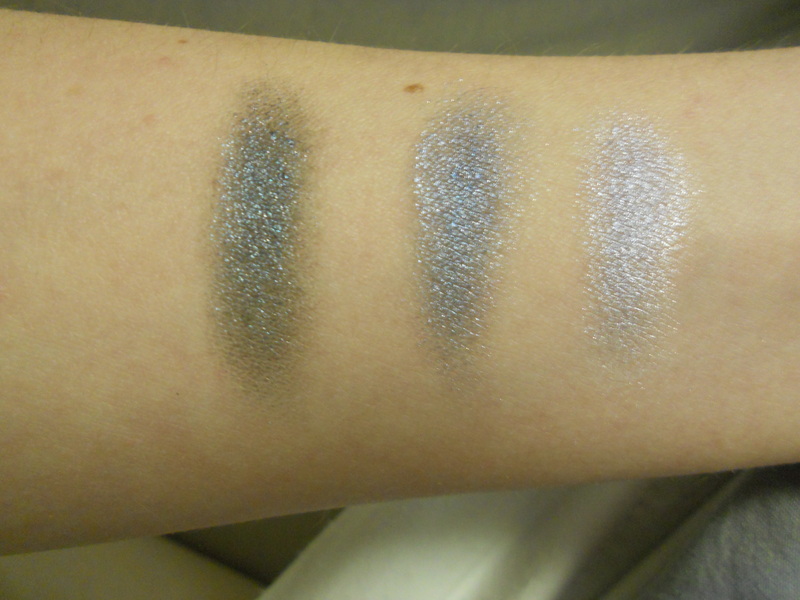 I didn’t remember seeing it online when I was first reading about these shades, but it’s definitely part of the line. It seems that this shade and Precious Pearl are for some reason being sold together in certain displays. Blue Paradise shown with one swipe, and built up. For some reason, this one feels a bit creamier than my other Color Tattoos. It goes onto the lid and off my finger much more easily, and still lasts just as long (although I may argue that it lasts even longer…it was NOT EASY getting these swatches off my arm). 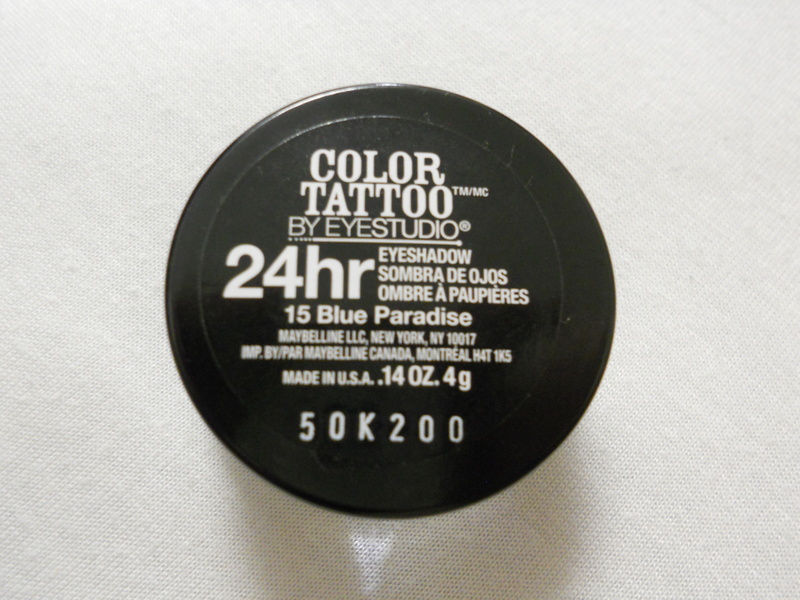 Blue Paradise over a black matte Sephora eyeshadow and Maybelline Color Tattoos in Electric Blue (75) and Too Cool (05). I’m super happy that I found this, even if it wasn’t the one I was originally searching for. My mom got lucky and snagged Seashore Frosts, Icy Mint, Waves of White, and Shady Shores for me. I’ll be united with them in about a week when I go home!